Famous U.S. District Judge Anita Brody is expected to rule on July 22 on a very a high-profile spor tlaw case in the States. 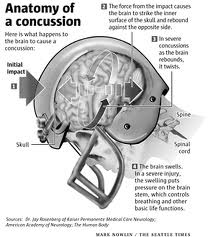 The case is about the forum of a very large number of concussion-related lawsuits brought by former players against the National Football League. The Philadelphia federal judge has to decide if the cases should proceed in open court or in private arbitration. ‘The league has asked Brody to dismiss the lawsuits, arguing the former players’ complaints amount to contract grievances that should be resolved by an arbitrator, not a judge. Well-settled labor law says that union contracts like the players collective bargaining agreements “preempt” civil litigation.